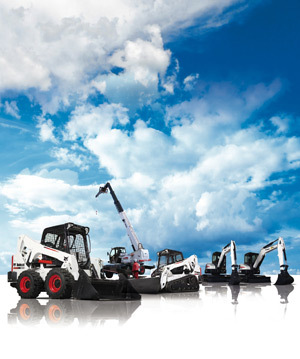 With more than 20 years of experience in the plant hire industry, we have built up a modern fleet of Bobcat machinery and attachments consisting of Skid Steer Loaders, Mini Excavators and Telescopic Handlers. We also supply Rammer Hydraulic Breakers, suitable for machines from 0.8Ton up to 70Ton, and Ausa Dumpers ranging from 850kg to 10Ton. We maintain a team of experts who are on hand to offer you any advice you might need regarding the best machinery for your project. All of our machinery is hired out at extremely competitive prices and thanks to our fleet of delivery trucks and support vehicles, as well as our workshop facilities, you can be sure that machinery hired from us is in great condition and is great value for money.